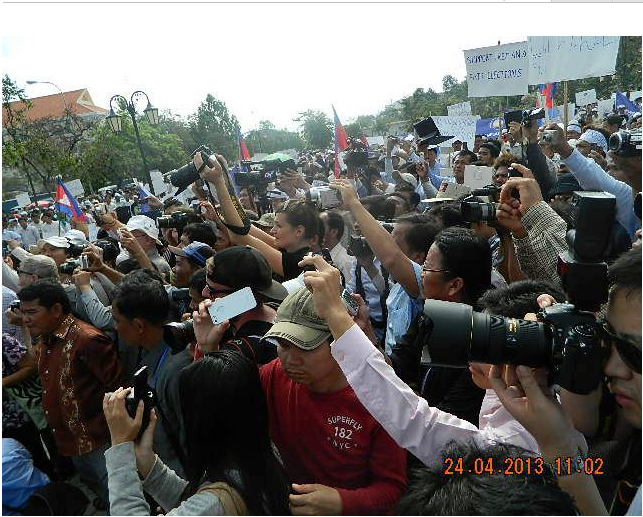 Media at the mass demonstration. 2/3 of the 1.2 million voters who will not be able to vote are women. 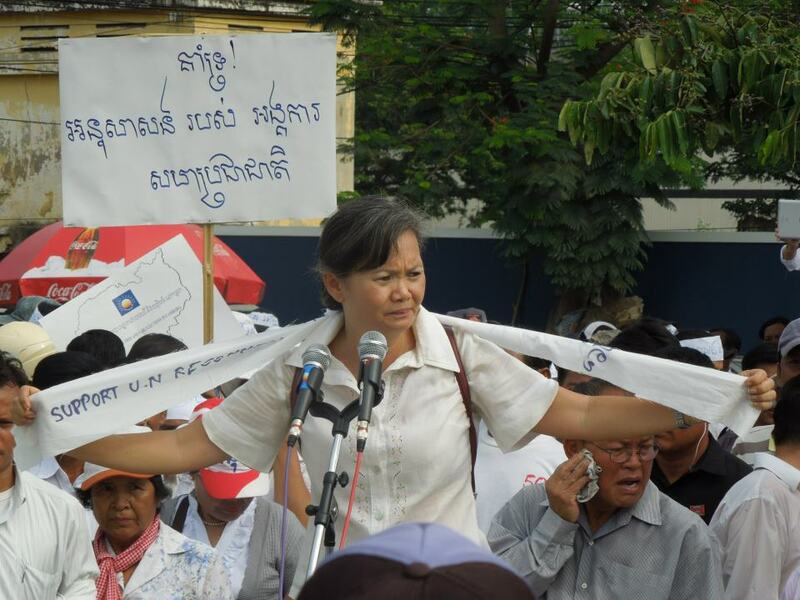 My words to the crowd: “Cambodian women want dignity and we want to say it out loud and clear through our votes but not when our names are deleted from the list by the commune chiefs who know we are opposition”. Postponement of the July elections to allow an electoral register of sufficient quality to protect the Constitutional rights of illegible voters. 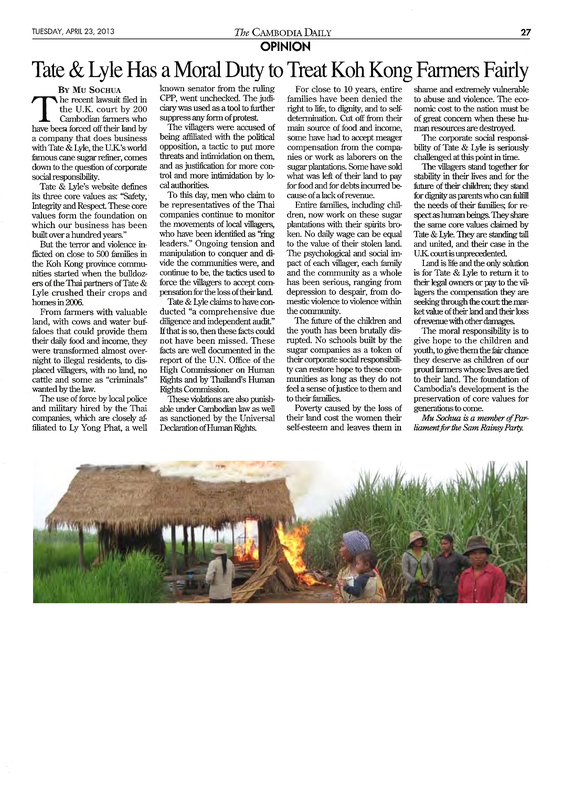 The experience of Bangladesh has shown that this can be done. With cross-party political will and the support of the United Nations Development Program (UNDP), a new high-quality electoral register for over 80 million Bangladeshi voters was created in a matter of eight months in 2008. 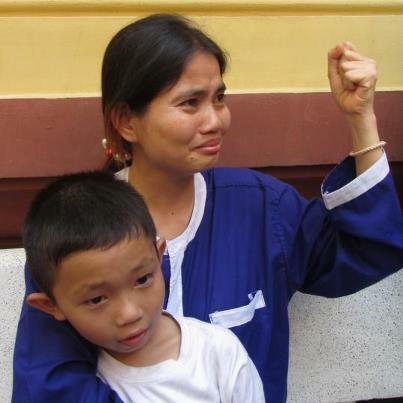 Yorm Bopha and her son in court-March 2013. 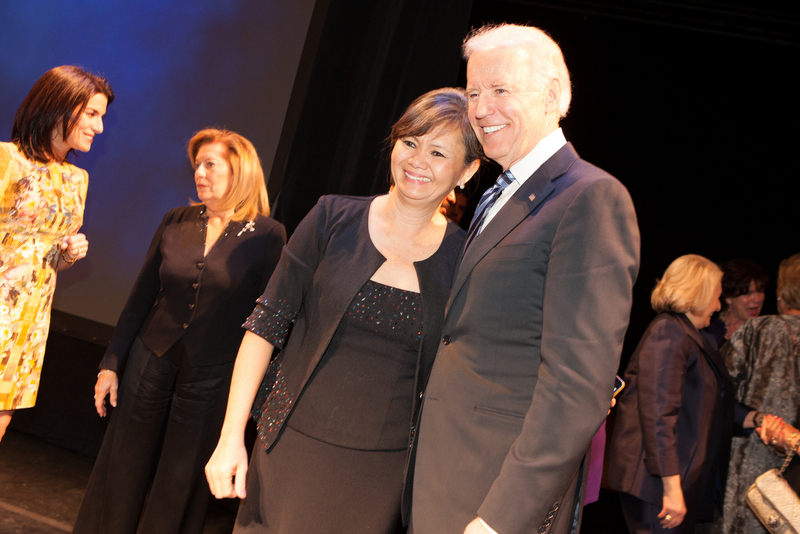 Even you do not speak Khmer to understand, watch her dignity, her skills in public speaking thru the media. 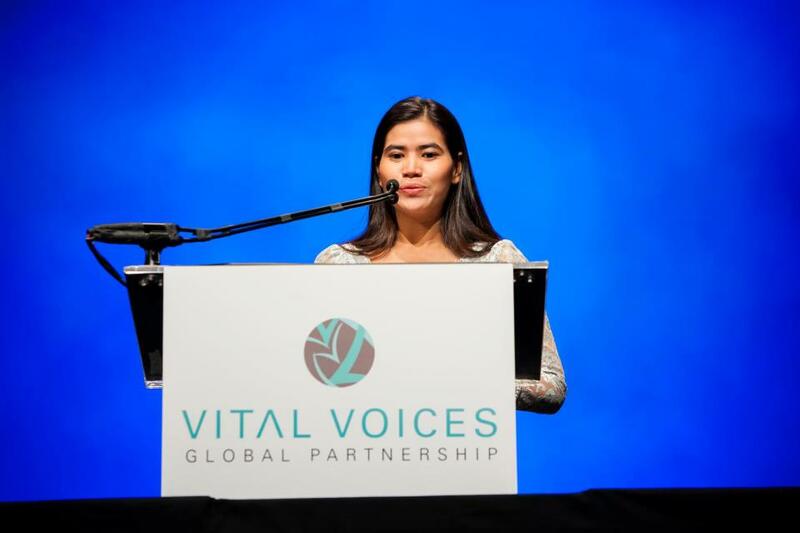 Tep Vanny’s message to her PM: “We are not robots. We have human being. We have feeling. We need to have a life”.